With a loaded lineup of games, it's important to send shockwaves and make a statement to the other big fish in the pond. That pond is Europe, and it turns out a lot of the big fishes made noise as the group stage reached the halfway point. 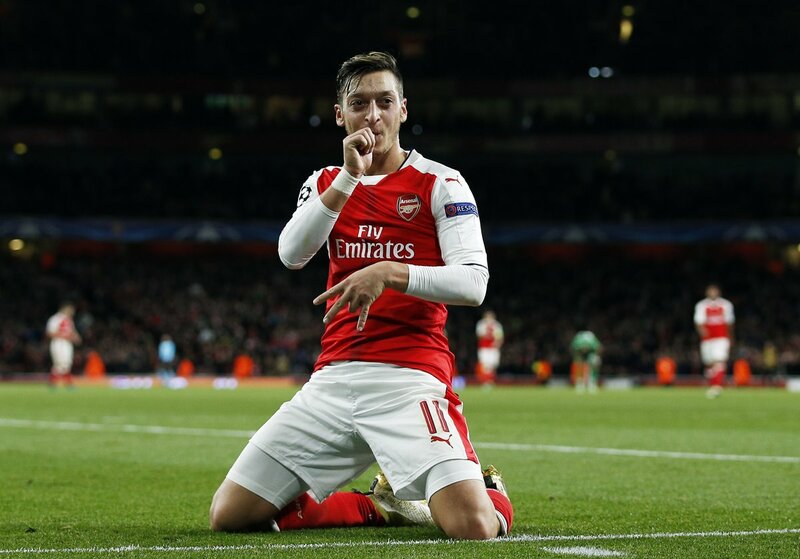 Pep Guardiola was trampled on upon his return as a hat-trick from Lionel Messi lifted Barcelona past Manchester City, while the other Premier League side Arsenal blitzed Ludogorets as Mesut Özil scored the first hat-trick of his career. Meanwhile, Bayern Munich got back on track by ending their winless run with a defeat of PSV - and there was a thrilling win for Benfica who spoiled the party in Napoli. All that action along with a little more featured on the second half of matchweek 3's games. We have it all rounded up for you below. 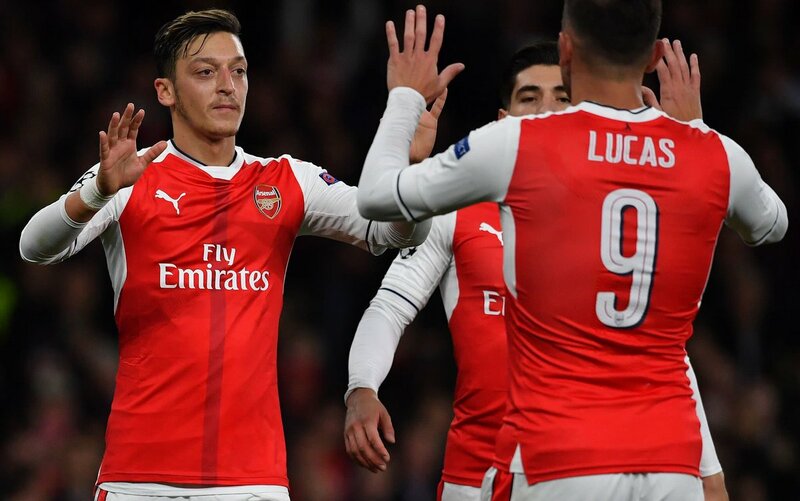 Mesut Özil scored the first hat-trick of his career as Arsenal destroyed Ludogorets at the Emirates Stadium, taking their win streak to seven with Alexis Sanchez, Theo Walcott and Alex Oxlade-Chamberlain also getting in on the act. Despite a decent start from the Bulgarians, who were not willing to surrender the lion's share of possession, the direction of the game would soon become clear. Not so long after Theo Walcott's cross-goal pass from the right of the area was cleared away - a chance he could have easily taken, Alexis Sánchez produced a stunning chip to open the scoring. The Chilean timed his run to perfection to get on the end of Oxlade-Chamberlain's pass, taking it in the box and holding it to send the defender flying, then executing a beautiful lobbed shot over the keeper from relatively far out, and sending the Gunners' support into delirium. 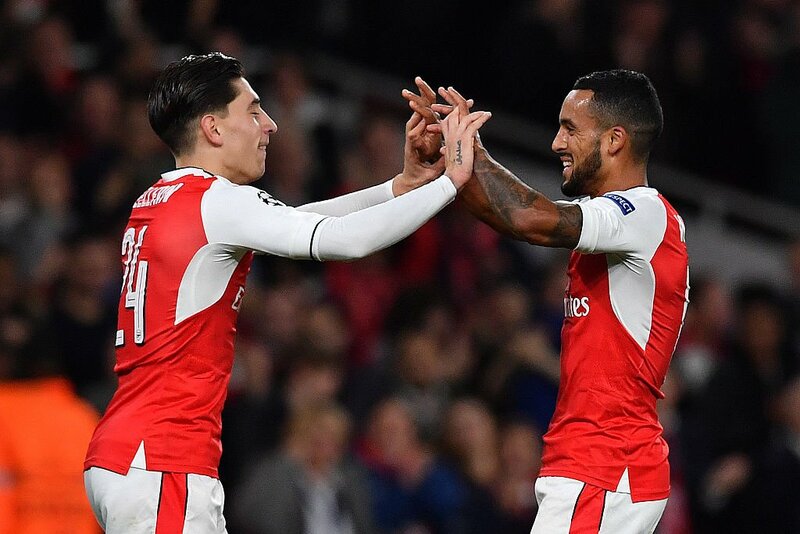 Arsenal were relaxed and confidence was oozing out of them, which opened up an opportunity for Theo Walcott to continue his hot streak with a sensational goal. From outside the box, he rolled a pass on to his favourable foot, and unleashed a shot into the top right corner. The Gunners picked up from where they left off in the second half, with Alex Oxlade-Chamberlain netting just 30 seconds in. He knocked in Alexis' cross with a thumping side-footed shot to truly open the floodgates for a sensational 45 minutes. Mesut Özil then began a terrific hat-trick in the 56th minute, with Santi Cazorla picking him out to take it past the keeper at knock it into the back of the net. Later in the game, Oxlade-Chamberlain's pass split the defence open, with Ludogorets crumbling under the pressure, allowing Perez to cross and end with the German finishing at ease. Capping off a hat-trick, and an incredible performance from Arsenal, Özil caught a volley with a sweet low strike. Seven straight wins for Arsenal who really had the wind behind their sails, tearing through a really outmatched opposition. Arsenal equal their 2nd-biggest CL win. They beat Slavia Praha 7-0 on 23 October 2007, and won 6-0 vs Sporting on 15 September 2010. 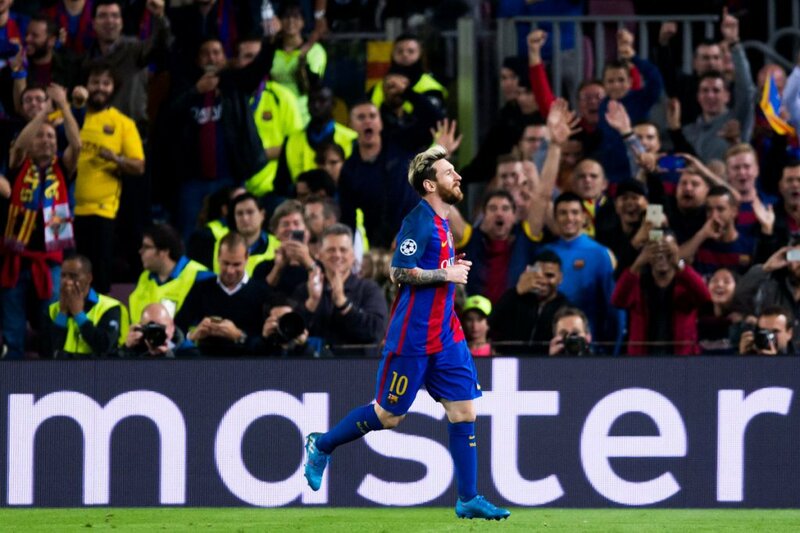 Lionel Messi pulled off a consecutive Champions League hat-trick as Barcelona handed former manager Pep Guardiola his joint biggest defeat with a dismissal to Claudio Bravo making a huge difference at the Camp Nou. 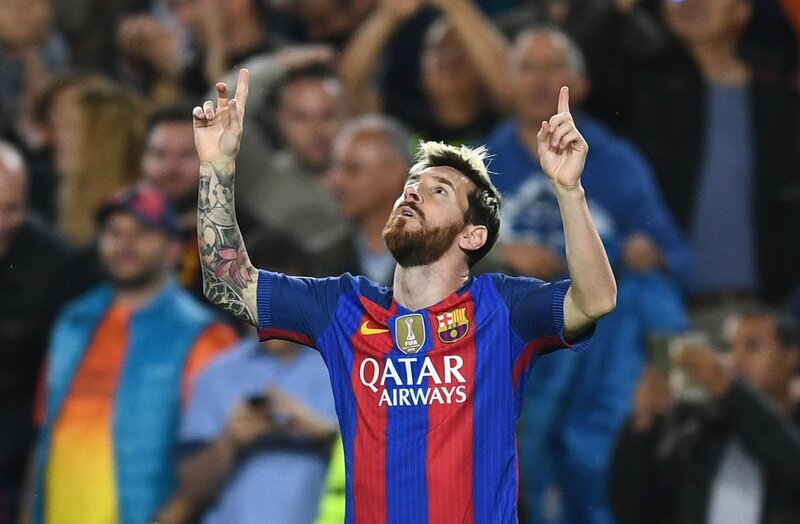 All it took was one error for Barcelona to unhinge their opposition, and it came from none other than the great Lionel Messi, starting what was a hat-trick by taking it around former teammate Claudio Bravo and rolling in at ease. The chance opened up after a Fernandinho slip, a mistake he would pay the price for. 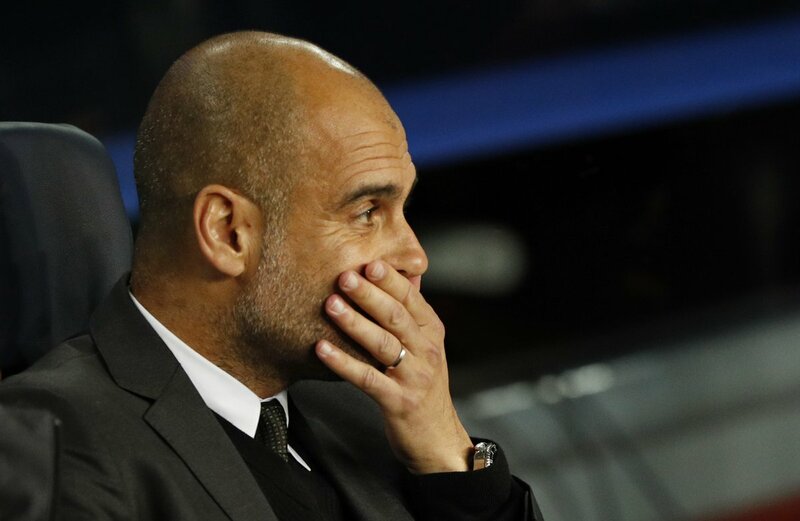 As Pep Guardiola cut a frustrated figure on the touchline, Manchester City responded well to make it something of a contest as half-time ensued. However, a major error from Claudio Bravo would reduce the Citizens to ten men not too long after the interval. They now had their backs up against the wall, as the former Barça keeper raced off his line to beat Suarez to the ball, but it ended up coming back out to the Uruguayan who tried to take it over the keeper who was way outside of the box. Bravo panicked and saved it - but it would cost him a red card for handball considering he was out of the area. 5 key saves by Ter Stegen in this match and Bravo got sent off. A fine way to cement yourself as Barça’s starting goalkeeper. Like a somewhat graceful vulture, Lionel Messi would swarm on the opportunity as the hosts began to run away. Iniesta slotted a neat delivery through to his star colleague, darting it into the corner. 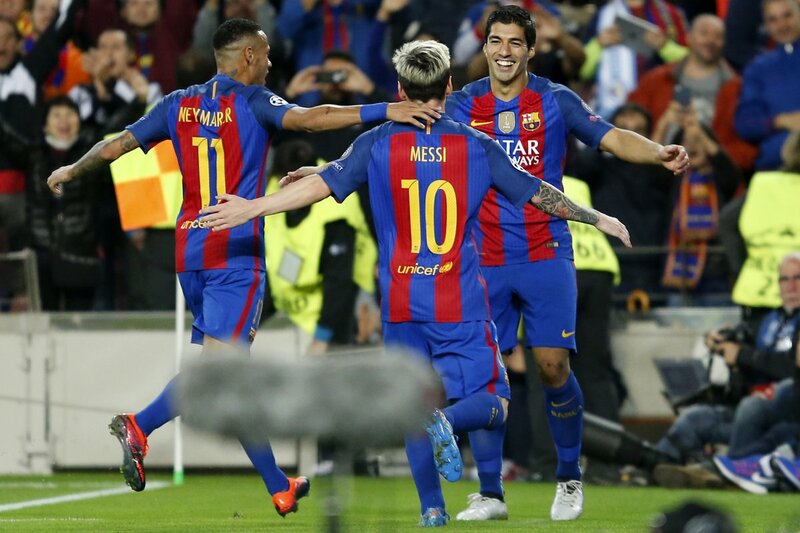 Completing the trio of goals, Luis Suarez cut it back to Messi for a clinical finish as City found themselves at the hands of a beating, despite having a good showing. Substitute Jeremy Mathieu, who replaced an injured Piqué in the first half, would receive his marching orders for two yellows, somewhat bizarre and unnecessary for the hosts who also lost Jordi Alba in the first phase. Lionel Messi could then have gotten a fourth after a Kolarov challenge awarded his side a penalty 3 minutes from time, but he made way for Neymar, who ended up being denied as Caballero dived the same way. 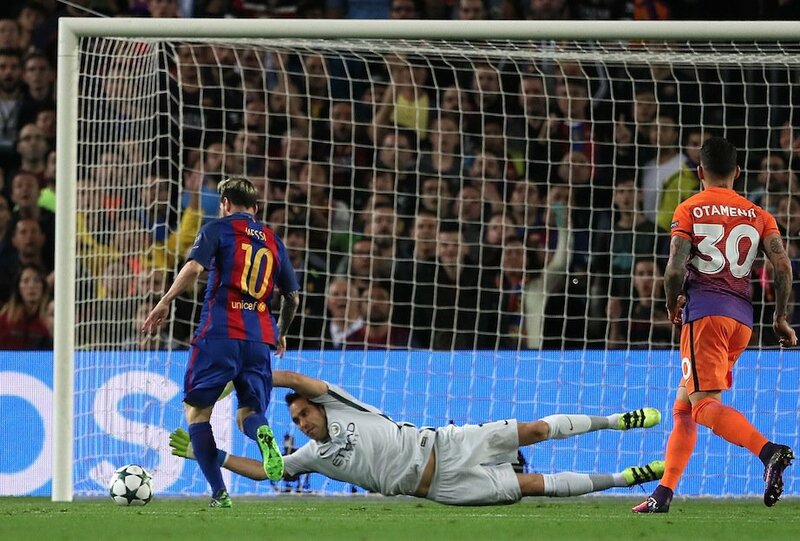 The Brazilian would manage to get one on the night though, when a couple minutes later he took Messi's pass away from Stones and guided it in, making this equal to Pep Guardiola's biggest ever defeat. 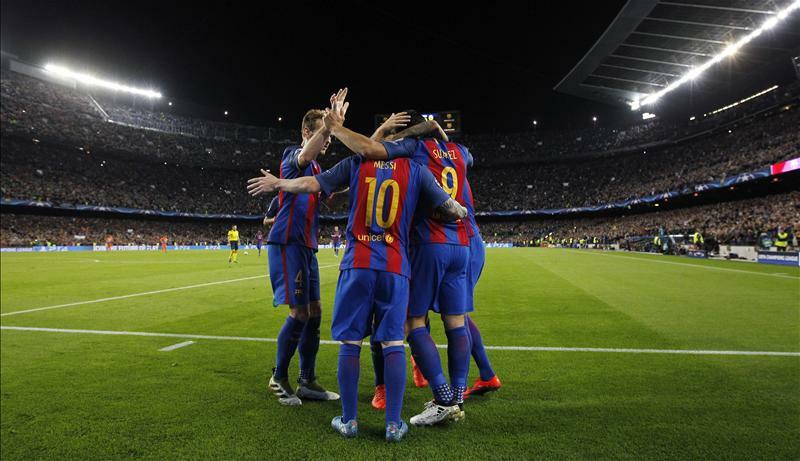 As for the managerial counterpart, all was looking good with Barça firing on all cylinders once again. Bayern Munich saw off a second-half revitalization from PSV Eindhoven to end up comfortably taking all three points and ending a winless run of 3 games. Having not looked their usual selves in previous fixtures, the German champions responded adequately with an alert and sharp start to the contest. There would be no better demonstration of that than a quick corner taken which took the visitors by surprise, as Thomas Müller got on the end of the short low corner to the near post. His first attempt was stopped, but he knocked it safely into goal on the rebound. A mere 20 minutes into the game and Bayern would double their tally as the young star Joshua Kimmich continued his red-hot scoring form. He notched a seventh goal in 8 games by running in and planting a close-range unchallenged header after Alaba - who came surging down the left - saw his cross deflected. A somewhat uncharacteristic showing of complacency would come to cause some discomfort for Munich, with Narsingh getting one back for the Dutch as he latched on to Pereiro's pass and applying enough power to leave Neuer little chance of stopping it. PSV went into the interval with confidence and came out looking intent on an equaliser. But as sucker punches would have it, the electric movement of Arjen Robben gave him space to conjure a shot at the keeper, parried out where a poaching Lewandowski headed in to create a bit of daylight between the two sides. 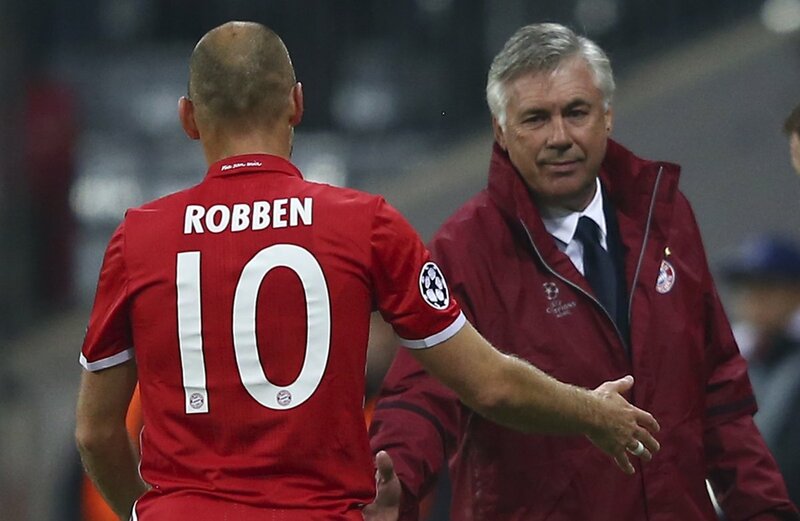 Arjen Robben was then rewarded for a solid second-half effort, getting on to Thiago's cross to guide it past the keeper and finish off the job. Bayern's lull in the midst of the game wouldn't come to cost them, as their star power ended up overwhelming their opponents. Paris Saint-Germain ended up being too strong for Basel as they covered what was at times an ugly performance with three goals in the French capital. Ligue 1's champions were rather sluggish out of the blocks, and could have been severely punished had Birkir Bjarnason's header been an inch lower. A knock back towards the midfielder saw him plant an attempt on the woodwork, causing a few heart palpitations around the Parc des Princes. Basel would end up hitting the post on two further occasions, with luck certainly not on their side. 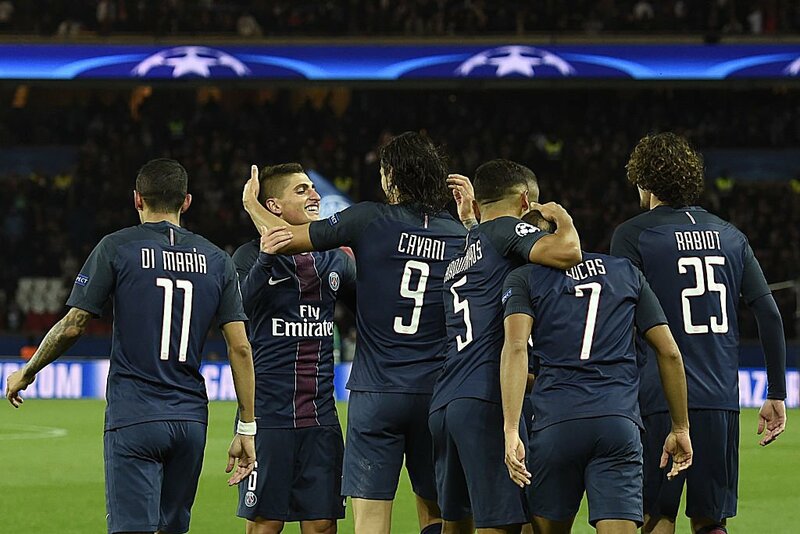 But five minutes before the half-time whistle, Ángel Di María would quell the nerves as he drove the ball home to put PSG in front. A cross from the left was intended for Cavani, but instead bounced out in the path of the £44 (€63) million man who needed no second invitation. Marek Suchý struggled to deal with Serge Aurier's cross after an hour had passed, opening up for Lucas to fire home and make it two, with Paris nearly wrapping things up. With the result an inevitability, Edinson Cavani was handed a late opportunity to get his name on the scoresheet when, in stoppage time, he was felled by Lang in the box. He nailed his spot kick and the Parisiens put an exclamation mark on another solid victory. Vincent Aboubakar scored late to confirm the fate of a five-goal thriller as Napoli were one step behind throughout their group stage clash. Ricardo Quaresma's cross fizzed past all the markers and found its way to Adriano who fired in from close range as Napoli were left shocked at the early trail. Naples was now an anxious setting - with their star striker Arkadiusz Milik unable to save them having suffered an injury in the weekend that will put him out till spring. Dries Mertens was perhaps the next best choice, and was distraught either side of the goal after missing two huge chances. He redeemed himself though by bundling in Callejón's ball to make things square after half-an-hour. A howler from Jorginho would surrender the lead back to the visitors though, as his attempted pass back from around the half way line instead came to the path of Vincent Aboubakar, through on goal and sliding it under the keeper to reinstate his side's lead. The pendulum would once again swing though, when the Italians were awarded a spot kick after Erkin's challenge on Mertens. Gabbiadini levelled the score with a successful conversion. 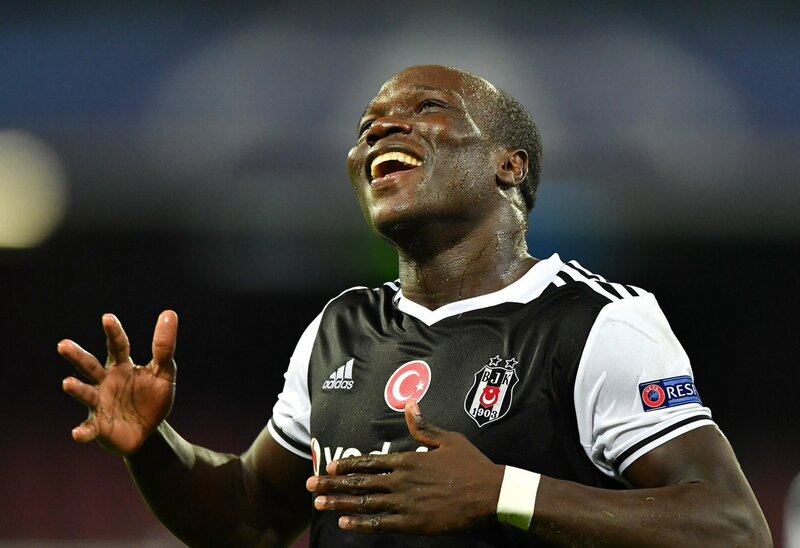 Just as things looked to be heading to a 2-2 draw, Vincent Aboubakar once again flipped the script as he scored 4 minutes from the end of regulation. He broke hearts in Naples heading past Pepe Reina after Quaresma's cross. 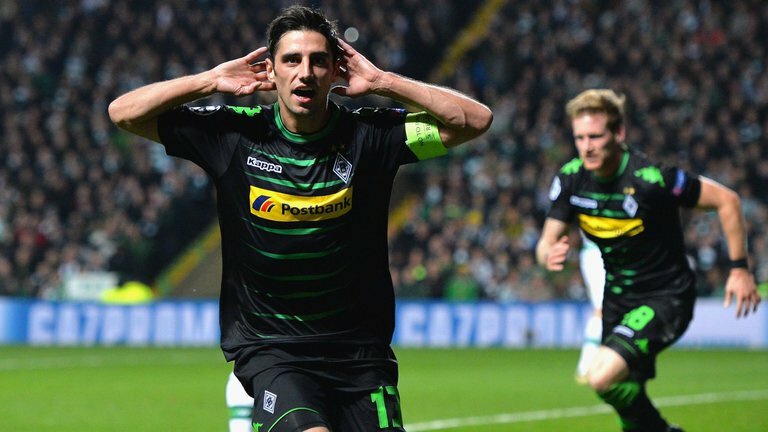 Borussia Mönchengladbach handed Celtic a substantial setback after two second half goals took the game out of reach. Celtic Park was nervy from the outset with the Scots' keeper brought into action many times, while Sinclair scuffed his lines to complete a goalless first half. Gladbach captain Lars Stindl would find the deadlock though after persistent pressing opened a chance for him to slide it through the keeper's legs at the near post. André Hahn struck the second goal, running through and smashing it high beside the keeper, as the Germans succeeded with a dynamic performance. Atletico Madrid picked up another clean sheet as they kept a perfect record in their campaign, with Carrasco's lone goal separating the sides in Russia. Rostov proved to be stiff opposition, but the direction of the contest could have changed when Ángel Correa fizzed wide after Yannick Ferreira Carrasco's low free kick was stopped. Chances remained hard to come by until the midpoint of the second half. It was Carrasco who got on the end of a diverted cross, smashing a close range half volley from the left post into goal and proving the difference as Atlético also picked up another clean sheet. 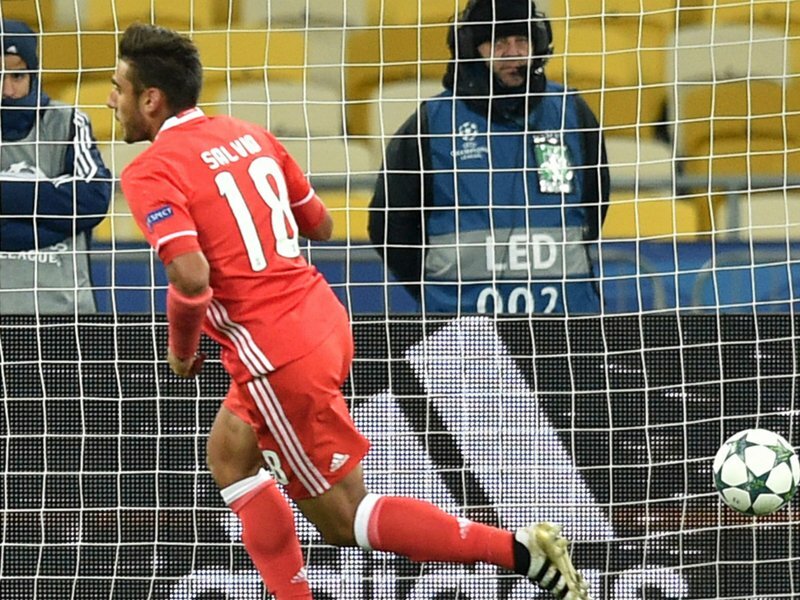 A penalty from Eduardo Salvio followed by a goal from Franco Servi helped Benfica to a win on the road in Ukraine. Gonçalo Guedes went down in the area at the hands of a challenge from Antunes 8 minutes into the fixture, one of which was deemed excessive and awarded a penalty in favour of Benfica. Eduardo Salvio stepped up and comfortably swept home to trigger disappointment around the Ukranian city. Franco Cervi scored after half-time to seal the deal, with his first shot being blocked he directed it past the keeper and set up for a comfortable remainder of the game.